This little guy decided to give me the eye! He seemed unconcerned with my presence and even posed. 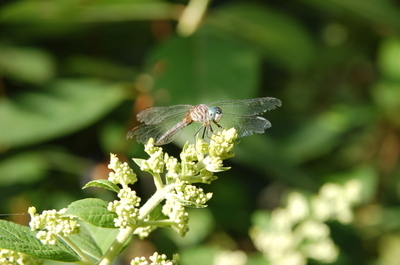 Maybe dragonflies slow down on occasion because I have tried many a time to take their picture without success. This one, a pin up kind of fly!! 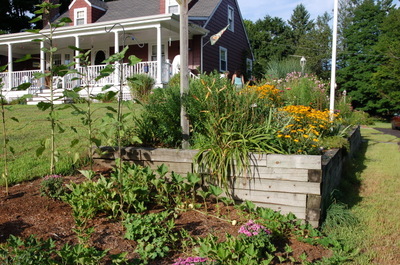 Here is a current picture of Mom's garden. She has so much in bloom at the moment that I felt I should share it with you all. At this end section there are gourds and sunflowers planted. 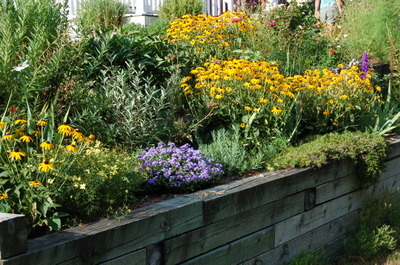 Here you can see the black eyed susans and some ageratum with bee balm and delphinium peeking up from the back of the picture. 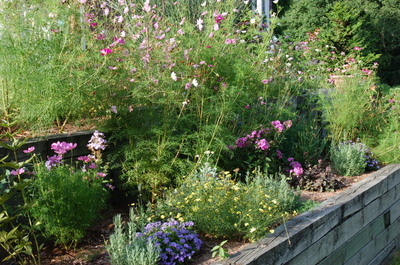 This section of the garden is blooming with cosmos, coreopsis and phlox. 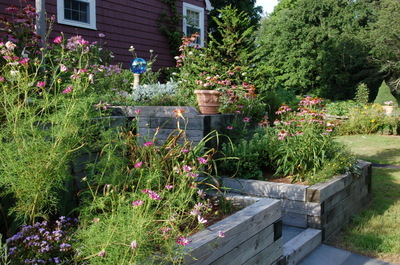 The stair section has cosmos and coneflower. My sister and I also planted vegetables in the back garden in a section which was difficult to mow. 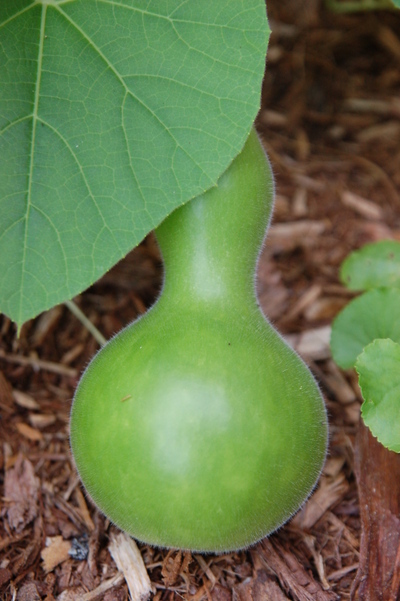 I need to get a picture of that garden but this birdhouse gourd is growing there. Have any of you grown any of the interestingly shaped gourds? They are vigorous vines with great flowers and the gourds are unique don't you think?